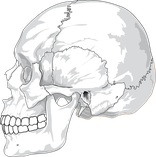 TMJ is short for Temporomandibular Joint; the TMJ is a dynamic joint which attaches the mandible (lower jaw) to the maxilla (upper jaw). There is a fibrous cartilage (articular disc) which cushions the bony structures of the joint. TMD or TMJD implies Temporomandibular Disorders or Temporomandibular Joint Disorders. TMD can actually mean disorder of either just the TMJ or the jaw muscles or both.